Donarra Extrusions is a small family enterprise that began with an empty building and one sheet line in October 2010. Donarra Extrusions is a small family enterprise that began with an empty building and one sheet line in October 2010. 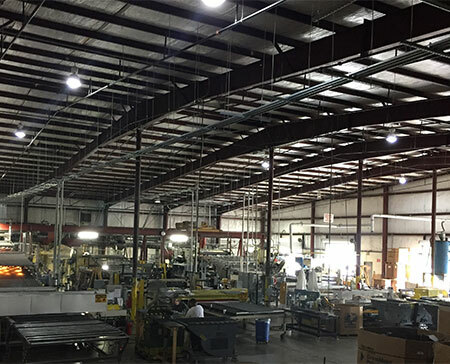 The company quickly grew in its modern 30,000 square foot facility to three sheet lines. 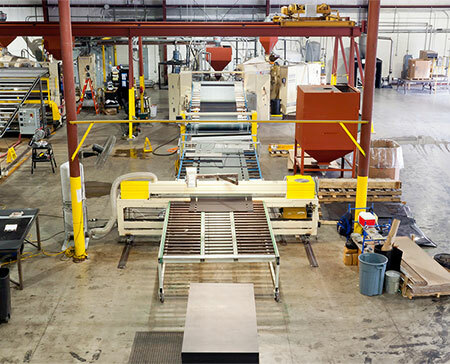 Donarra Extrusions is a company specializing in the manufacture of polyethylene plastic sheet serving the needs of manufacturing companies and distributors throughout the United States. Donarra Extrusions partners with the Florida Workforce, On the Job Training Program providing skills training to employees. Now with more than 25 employees manufacturing polymer products around the clock Monday through Friday, Donarra continues to grow. The Donohue family intends to maintain independent ownership and control. Mr. Donohue intends to maintain the same high standards and values at Donarra Extrusions which have made him a successful businessman in the past. Donarra Extrusion's customers have successfully relied on our leadership and experience for outstanding value and added performance. We make a quality commitment to our customers and develop long term relationships. We will make sure our customers, manufacturers and fabricators receive the right material, at the right price, right on time. We are focused on serving the commercial or government marketplace as a prime contractor or partner to other companies. At Donarra Extrusions, our vision is to be the industry benchmark for quality, responsiveness, and optimal value for each of our customers. Working towards their goal, the Donarra Team consistently strives to exceed customer expectations and deliver exceptional services based on innovation, persistence, and standard of excellence, and always in the framework of our core values. Our central purpose and goal, at Donarra, is to strive to be the vendor of choice and trusted advisor to our customers. We provide a work environment where our employees can achieve their potential and thrive in a safe yet challenging atmosphere. Integrity is the basis for all interactions with our customers and associates. Donarra’s performance-driven culture uses measurement statistics to ensure continuous improvement in the areas of safety, quality, cost, and schedule. We appreciate our achieved success and are committed to exceeding the expectations of our customers and employees. Our overall goal is to be the standard for excellence in Plastic Extrusion products. Donarra Extrusions, LLC considers its Core Values consisting of Safety, Individual Accountability, Respect, Integrity, Growth, and Commitment as the framework for all relationships. We value these in our partners and customers. Donarra believes that practicing these values creates long-term benefits for customers, employees, and business partners.